This is the year of Vasarely ! 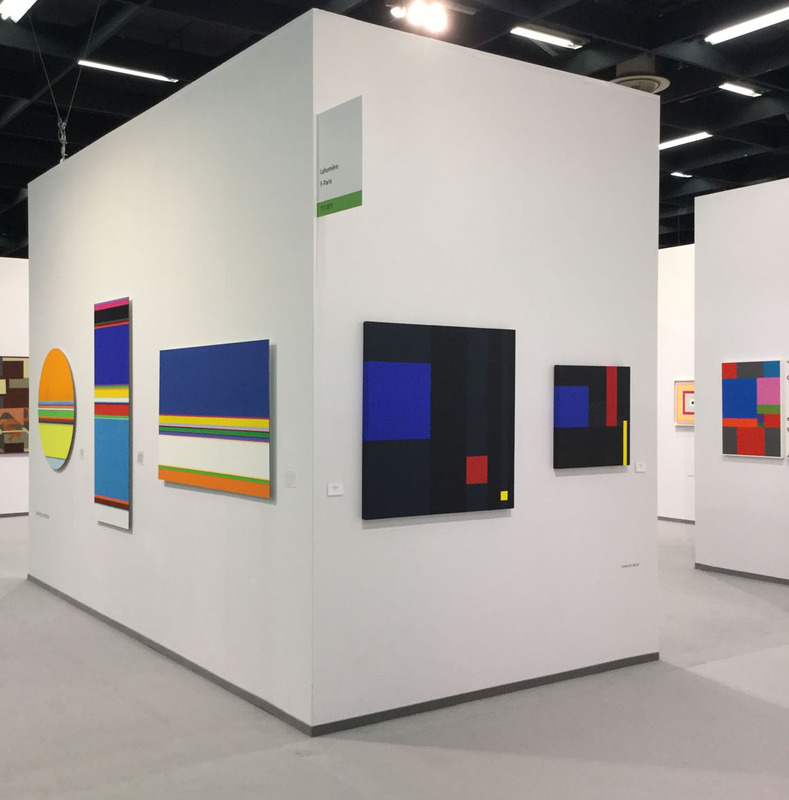 After a show of his paintings at the Stadel Museum in Frankfurt from September 2018 to January 2019, to which we contributed works, another Vasarely exhibition is currently underway at the Pompidou Center in Paris. The Staedel show developed the painting process of Vasarely’s work, from the early times until he reaches the Op’art. 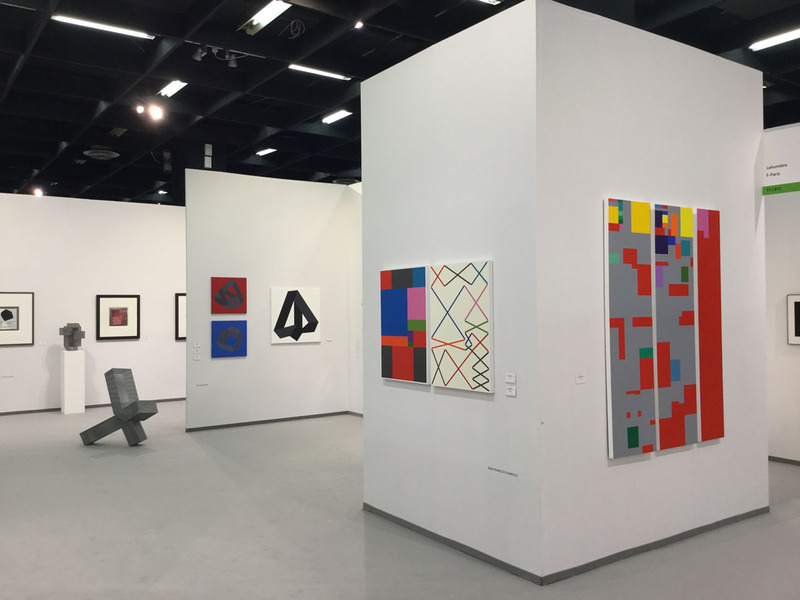 The Pompidou show focuses above all on the “Vasarely phenomenon” when he was at the height of his fame in the 1960s and ‘70s. Vasarely’s output of prints and monumental works was a way to make himself visible and accessible to a wider public. Anne and Jean-Claude Lahumière were art publishers in those days, and they worked with Vasarely and his lithographer, Wilfredo Arcay. Op art was in full stride in Europe, yet that was the moment the Lahumières discovered a part of Vasarely’s oeuvre that was no longer seen at all—his works of the 1950s. They steadily acquired a major collection of works from that period. 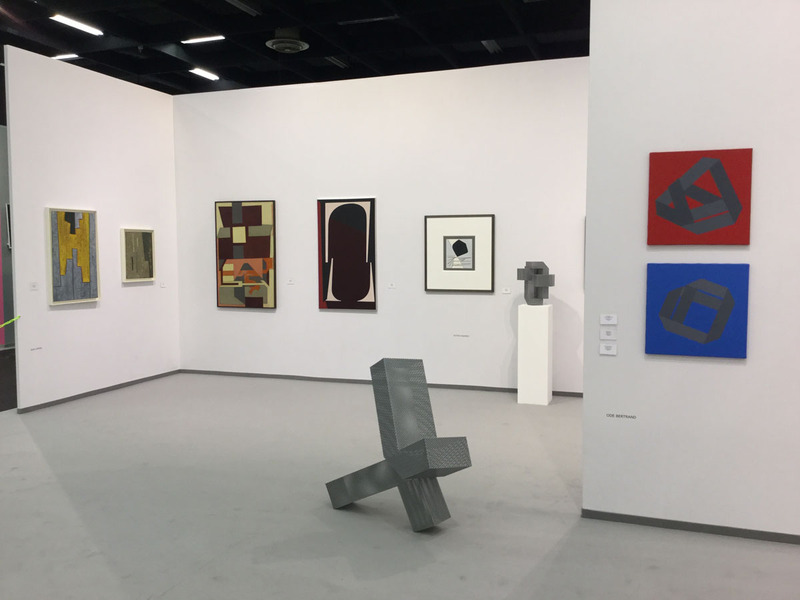 On our Cologne stand we will we show several works from those days as well as a few later ones, reflecting the current show at the gallery. Another part of our stand will echo a few themes of past shows at the gallery, such as Sole Sisters, is reflected in works by Aurelie Nemours (whose catalogue raisonné has now been published), paintings by Ode Bertrand and sculptures by Isabelle de Gouyon Matignon. Because of another phenomenon : the publication of the catalog raisonné of the work of Günter Fruhtrunk, decided us to show a great bright painting from this artist issue from the Lahumière Collection. Nor have we forgotten contemporary artists such as Nicholas Bodde and Claude Pasquer and Jean-François Dubreuil, whose works are always greatly appreciated by collectors.